“A Tour de Force” claims the reviewer from The Times, on the front cover of The Gate. This book, written by Frenchman Francois Bizot, and translated from the French by Euan Cameron (ISBN 0-099-44919-6, published by Vintage this year) is the tale of a young French academic who was caught and tortured by the Khmer Rouge and his subsequent dealings with the feared regime when they took over Phnom Penh. 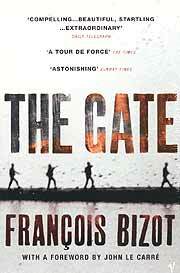 Bizot describes, in amazing detail, the dehumanization that occurs to people detained by revolutionary zealots. These detainees have not committed crimes as you and I understand crimes, but are considered to think ‘au contraire’ to the revolution. The principles of denunciation of others and indoctrination of the young are well presented, showing how revolution becomes self-perpetuating and societal standards of good and evil can become shifted. Defilement and desecration become the norm. “Forever a monster himself” shames us all. After his release from detention, some years later Bizot was present for the fall of Phnom Penh and again describes in ultimate detail the hopelessness and the hatred that ensued. He writes of having to turn away a mother and her baby who were seeking asylum at the gates of the French Embassy as the Khmer Rouge did not acknowledge the right of asylum. The equivalent of denying someone a place in a lifeboat, while there is still space available. Or the woman who gave birth in the embassy and left her infant son behind, hoping that he might survive, knowing she would not. These are the heroes and heroines about which you never hear, other than from someone like Bizot who saw, remembered and chronicled the horrific events. It is no wonder that Bizot writes of his “bitterness that knows no limit”. The book defines a period in the history of mankind that should not have happened, but did - and we should not let it be forgotten. This is a shattering book, one that will shatter many preconceived ideas, and another that should be compulsory reading for the generations to come. Unfortunately this book will not get the reading and recognition that it should in this commercial world. Firstly, an unimaginative title. “La Barriere” may be evocative in French, but “The Gate” does nothing for the vast majority of native English speakers. “Prisoner of the Khmer Rouge” would be more attention grabbing. Secondly, the book is printed on pulp paper of abysmal quality. Nothing about it is attractive. This is a great shame, as it is a book of great value, a book that one should keep. However, the quality of this publication is such that one would be lucky to be able to read it twice before the printed words wear off! The review copy was made available by Bookazine, but should be available at all good bookstores. The RRP was B. 450. ‘Patchy’ would be a fitting one word review for the band known as Juicy Lucy’s second album. During their three year, four album, two hit single, and hundreds of concert appearance career, the band had enough lineup changes to make Spinal Tap seem like the model of stability. ‘Juicy Lucy’ was formed in 1969 by ace steel guitarist Glen ‘Ross’ Campbell out of the ashes of ‘The Misunderstood’. During its lifespan Juicy Lucy had two saxophonists, two keyboard players, three guitarists, two vocalists, and four bass players going through the ranks. By the time of the fourth album ‘Pieces’, there was not one founder member left. Even Glen ‘Ross’ Campbell had left in despair. Regardless of all these musical chairs, on release this album went into the charts on the crest of a wave as Juicy Lucy had just had a hit single with ‘Who Do You Love’. (George Thorogood and the Destroyers also had a hit with this song on the other side of the Atlantic, turning it into one of the highlights of their live set.) The single reached #14 in the British Top Thirty and stayed there for three months. Then ‘Lie Back And Enjoy It’ (their next album was called ‘Get A Whiff Of This’, wonderfully funny titles, nearly as good as my favorite album title of all time - Spooky Tooth’s ‘You Broke My Heart So I Busted Your Jaw’ - who says romance is dead?) was released on the progressive rock label Vertigo. Vertigo had the marvelously hypnotic record label that when it whizzed round on your turntable, would send you dizzy. Vertigo was the home record label for most of the bands that were considered underground or cult at the time such as ‘Black Sabbath’, ‘Uriah Heep’, ‘The Sensational Alex Harvey Band’, ‘Gentle Giant’, and ‘Status Quo’ to name but a few. Unfortunately Repertoire Records have released this CD version of ‘Lie Back and Enjoy It’ and a very good job of it they have done, too. They gave the buying public a very good deal with a full reproduction of the foldout cover and two extra bonus tracks to add onto the original nine tracks. 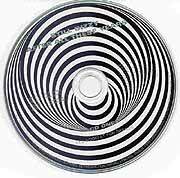 But for those of you who miss the hypnotic record label, try your hand at the double CD ‘Still Dizzy After All These Years’, a fine collection of the Vertigo years featuring many bands that went onto bigger and better things, and some that for reasons only known by the masters of rock ‘n’ roll didn’t. With the CDs and cover printed with the correct squiggles, ‘Lie Back and Enjoy It’ went straight into the British charts at #53 in November 1970. The passage of time has not been kind to some of the songs on this album. Standard blues material with plenty of embellishments from the musicians currently find a home within the ranks. Hereby lays the most pressing problem. With such a liquid lineup it was hard for ‘Juicy Lucy’ to actually sound like a band, not just a group of musicians thrown together in the recording studio. Half the band plays as if they were worried that they would soon be booted out of the band (they were), whilst the other half play as if they had the knowledge that after this recording they were going to move onto new fresh pastures (which they did - notably Micky Moody to ‘WhiteSnake’, Rod Coombes to ‘Stealers Wheel’ & then the ‘Strawbs’ and Keith Ellis to ‘Spooky Tooth’). Yet, there are some astounding performances from the guitar works of Micky Moody, the steel guitar works of Glenn ‘Ross’ Campbell, the occasional saxophone break from Chris Mercer, and the ever impressive vocals of Paul Williams (one of the most underrated blues singers to ever tread the boards and bend a microphone). The first seven tracks are fair compositions including a cover of the old Willie Dixon Blues Classic ‘Built for Comfort’. The band aimlessly stumbles through many genres of the rock ‘n’ roll spectrum, from blues to country, and heavy rock to pop. However, it’s not until they crack open the Frank Zappa jewel from Hot Rats ‘Willie the Pimp’ that the band really jell, let their hair down, giving it a go with the confidence that these superior musicians should have. The results are startling with Paul Williams singing at his most Beefheartesque (I do not know if that’s a word or not, but if it isn’t, it should be) and Micky Moody laying down two smokin’ slide guitar solos, while the whole band joins in the fun with a truly rumbustious display. All in all a pretty average display (apart from the magnificent ‘Willie The Pimp’), but worth the while if you fancy some of that early seventies feel. Just a brief tag onto the end of the review. The question this Dog is constantly being asked is where can you get the music that is reviewed in this humble little column for people who like their music hot and sweaty from twenty years or more ago. Well, to be honest, not really anywhere in Pattaya or Chang Mai. The last time I checked out the area’s leading CD shop, it did not even stock any ‘Led Zeppelin’ or ‘Black Sabbath’. So you have got absolutely no chance with something like ‘Juicy Lucy’. Your best bet is Amazon at www.amazon.com They have a fantastic range of music and their service is very reasonably priced, and usually very quick and easy to order. If anything goes missing in the mail, Amazon, with its customer friendly policy, is always very good about replacing it for you. The only other option is to go into your nearest music shop and keep on asking for your favorite artist. Maybe one day they will get the message.